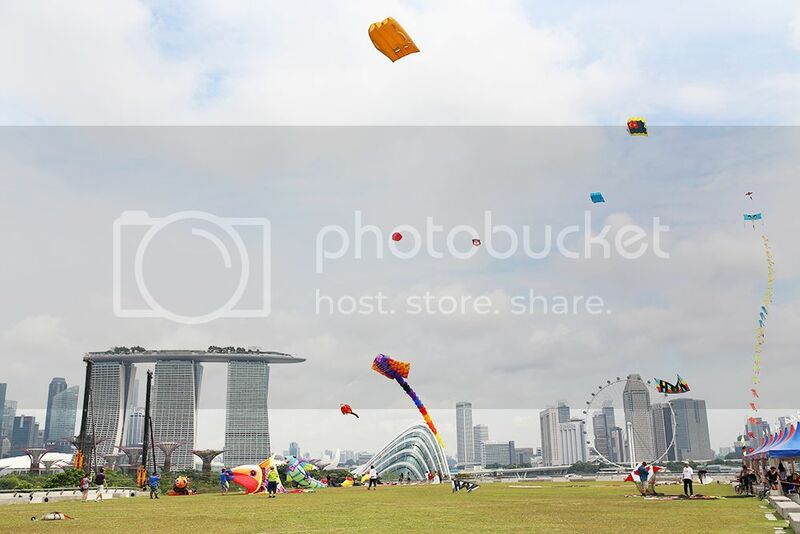 It was Kite Day at Marina Barrage last weekend and since we didn't have anything planned on Saturday morning, we decided to pop by! This is our first visit to Marina Barrage since it was redeveloped and I regret not visiting earlier! Just how much were we missing out on?! 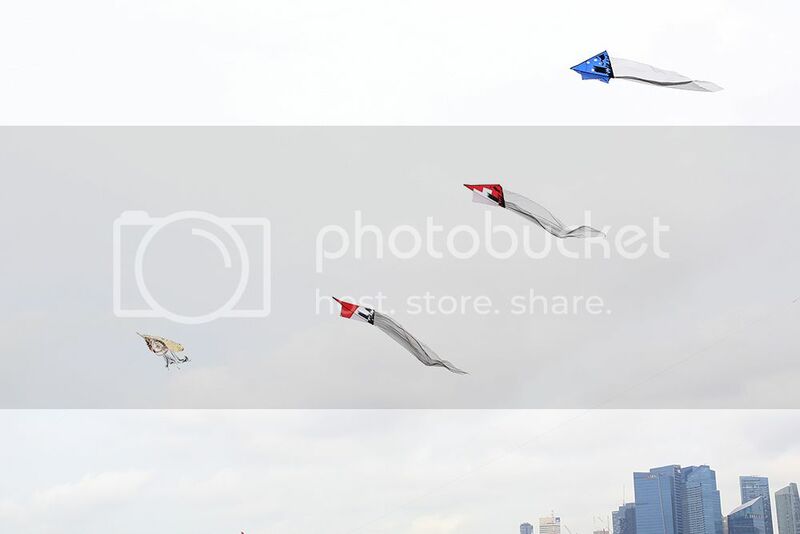 The gorgeous Singapore skyline filled with kites of various colours and sizes greeted us as we approached the upper deck. 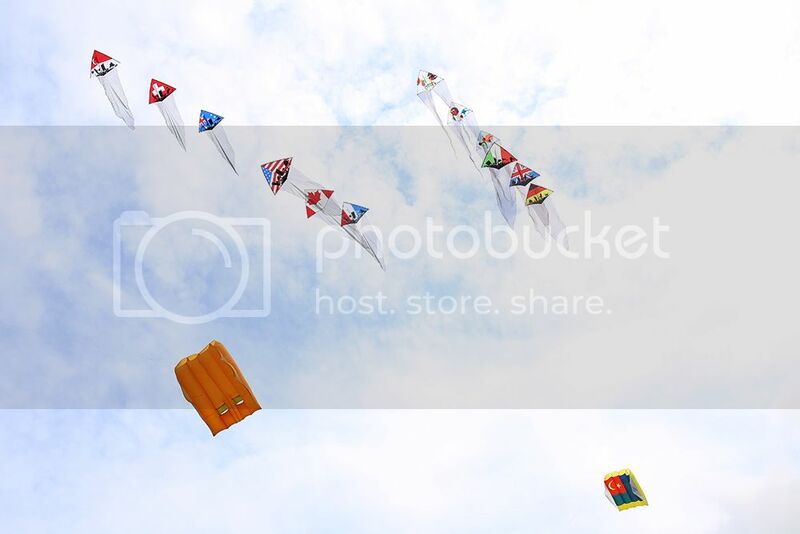 Organized by PUB, fliers from all over the world gathered to showcase their uniquely designed giant kites & outstanding flying skills. 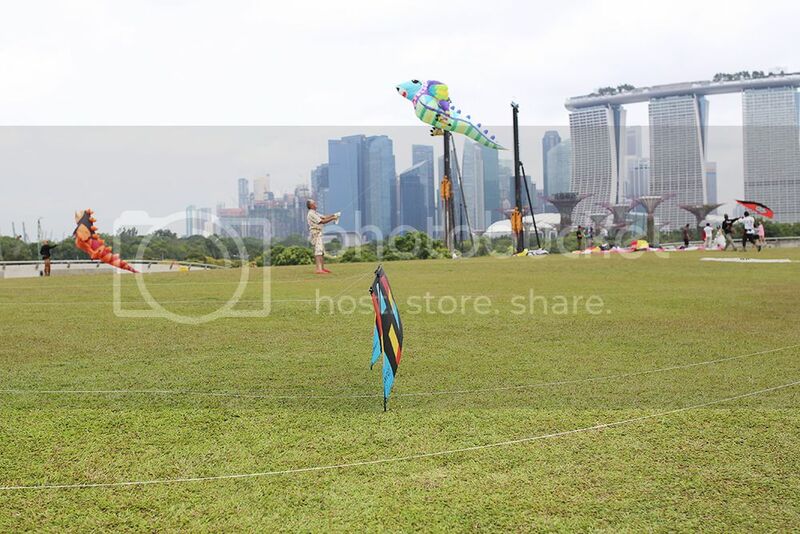 In conjunction with SG50, special aerial stunts was performed by kite fliers such as Singapore's Team Airnergy. 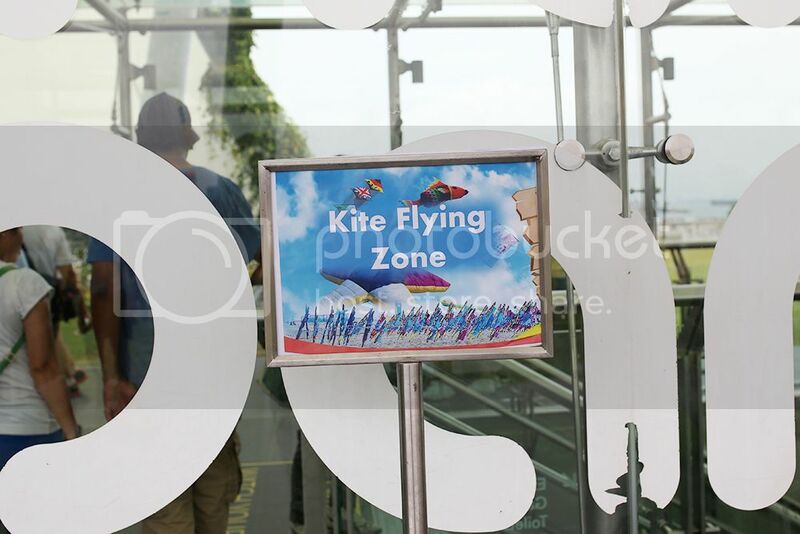 There were also other activities such as Lolli-drop for the kids, Eco Wind Garden Workshop and Kite Making Workshop - ensuring there is fun for everyone! We really wanted to stay for the kite making workshop but we had another appointment in the afternoon so we had to give it a miss. 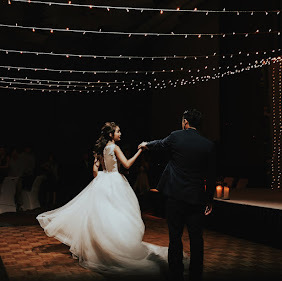 It was a light hearted atmosphere filled with tons of smiles and colour. Apart from young families and couples, I also spotted school children taking a walk with some old folks, extremely heart-warming. 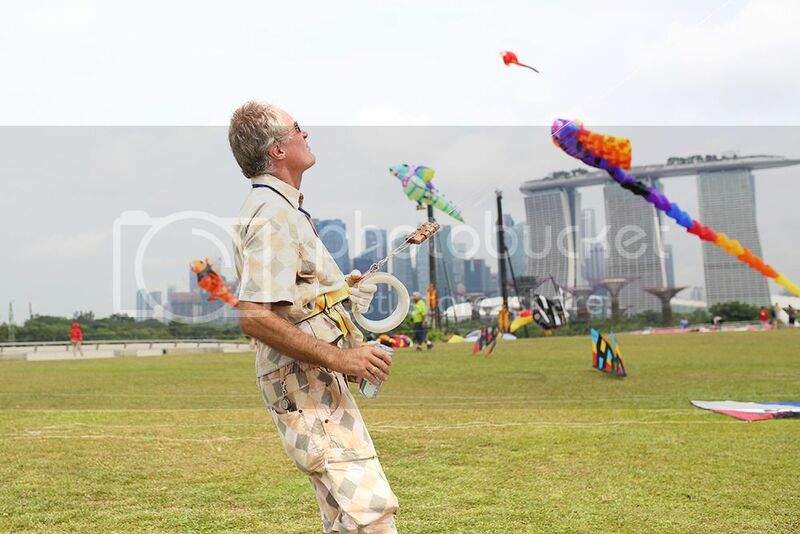 We had so much fun watching and learning from the pros as they effortlessly flew their kites up into the sky. We were not only blessed with a good view, the weather was beautiful with occasional breezes as well - Possibly because we were right next to the reservoir. 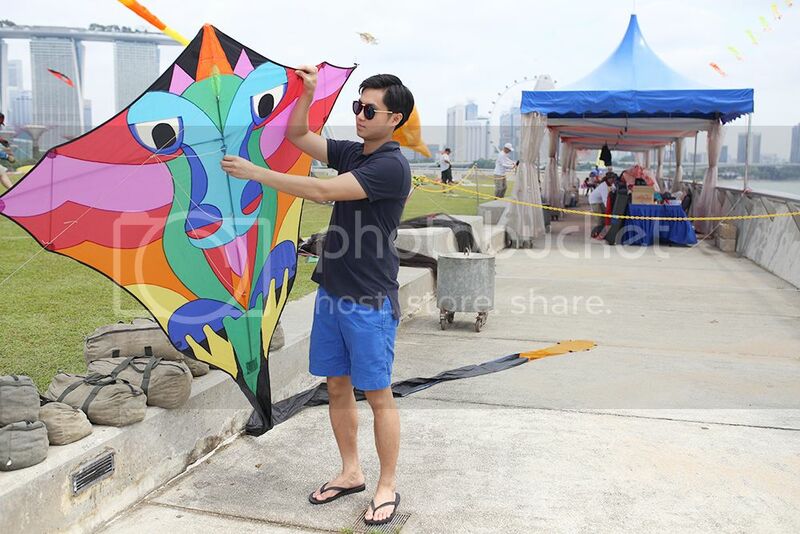 Don't frown if you missed Kite Day because this SG50 weekend, PUB, Ministry of Social & Family Development and RSAF will be organizing a series of activities!! Happening from 7th to 9th August, 8AM to 8PM. 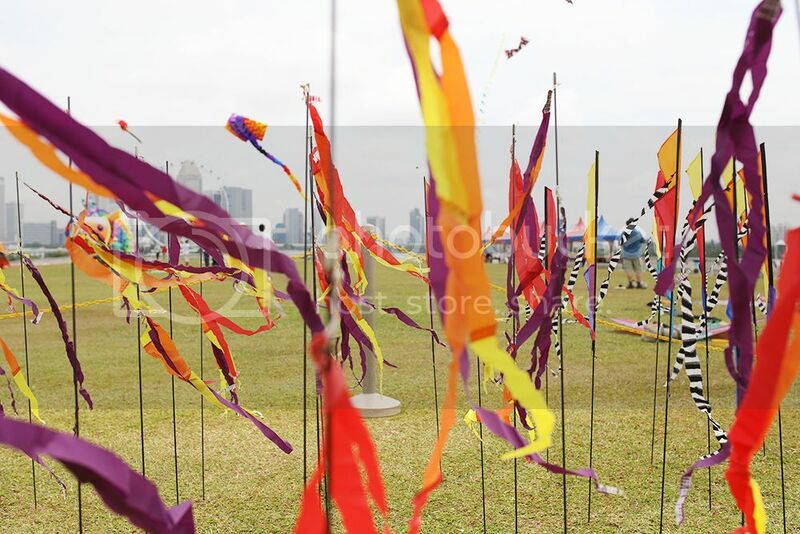 At FFL picnics, families will be able to enjoy nostalgic childhood games for Singaporeans to reminisce the good old days, performances by local artistes, as well as carnival stalls and games. The FFL Mobile Café will also be making its appearance at the SG50 picnics, serving complimentary food and beverages. 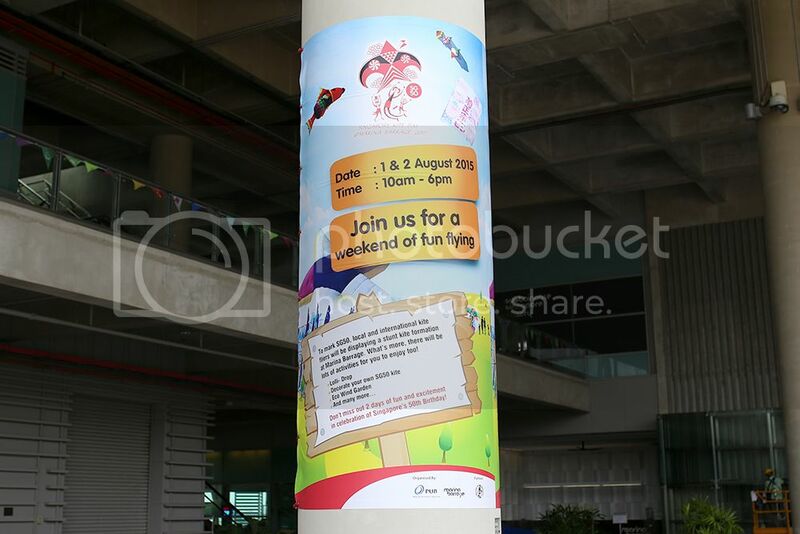 Do visit http://www.sg50picnics.sg/ for more information. 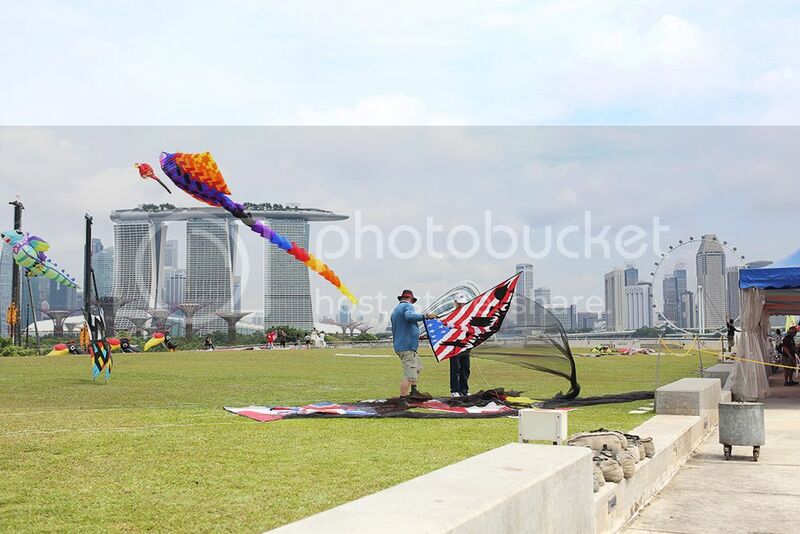 Marina Barrage also offers a good vantage point to catch a spectacular aerial display by The Republic of Singapore Air Force Black Knights – Singapore’s very own aerobatics team – that will be performing for Singaporeans over the Jubilee Weekend! Flea market stalls will be offering great selection of food, drinks, accessories and lifestyle products. Look out for kids activities, rides and inflatables! 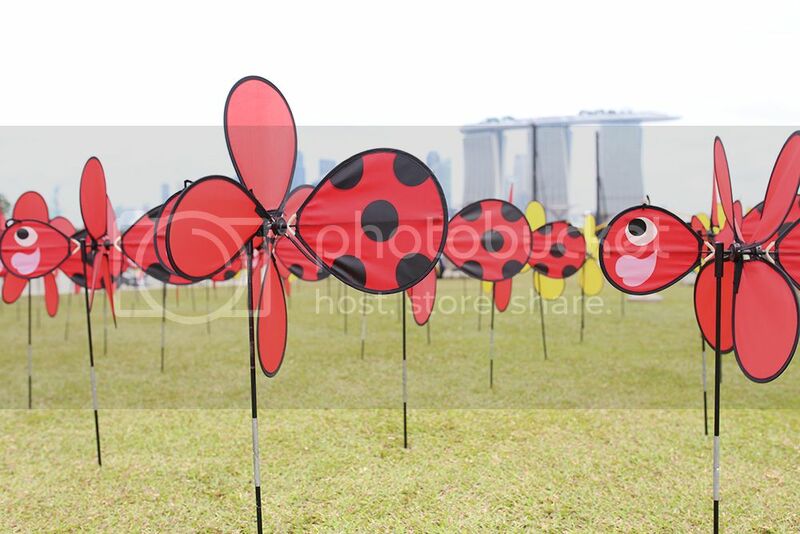 Catch the live screening of the National Day Parade with fellow Singaporeans at the Marina Barrage Green Roof. Watch the celebration against the spectacular city skyline and be wowed by the flypass! The amazing firework sets against the scenic backdrop of Marina Bay Sands and the business district is not to be missed!